Over the past couple of years, the concept of the agile workplace has gained popularity and momentum as employers become attuned to its benefits on productivity, flexibility, collaboration, and culture. It is now more apparent than ever if we are to attract, nurture, and retain the best employees, we need to provide the quality of environment that is as dynamic and inspiring as the people within it. What does that mean in practical terms? Here’s our take on what it means to be agile and how to start the transition from a static workplace to a thriving habitat. An agile workplace is designed around the people, projects, human needs and business demands within the commercial space. It’s adaptable, moveable and zoned to create the optimum environment for staff happiness and productivity. It’s an opportunity to shake up the traditional office layout and hone in on the elements that bring out the best in your people. It’s not the same for every business. It may not be the same for every project. That’s the beauty of agile workplaces; they can bend and move to the rhythm of your business and inspire great morale and efficiency in equal measure. 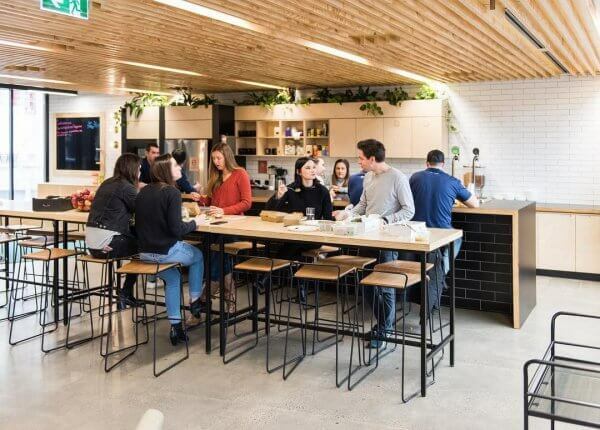 Contrary to popular belief, agile workspaces aren’t just about making work fun; they are strategically designed to cater for the different personalities, projects, and working relationships within your workforce – your community. A lot of consultation and planning goes into creating the utopian office, and there are countless ways of executing the plan, so without sounding like a sales pitch, we recommend working with professional interior designers. Here’s how we’d approach it. What’s Involved In Agile Workspace Design? The key to this type of design (or any design for that matter) is understanding the purpose of the space and how it will add value to its users (i.e. business executives and employees). For us at Merit, this is the single most important part of the design process because it reveals the type of environment you want to build, the culture you wish to foster, and your insights into the working styles, demographics, and productivity zones relevant to your people and their projects. But more importantly, get the zone (or zones) right for the people inside them. 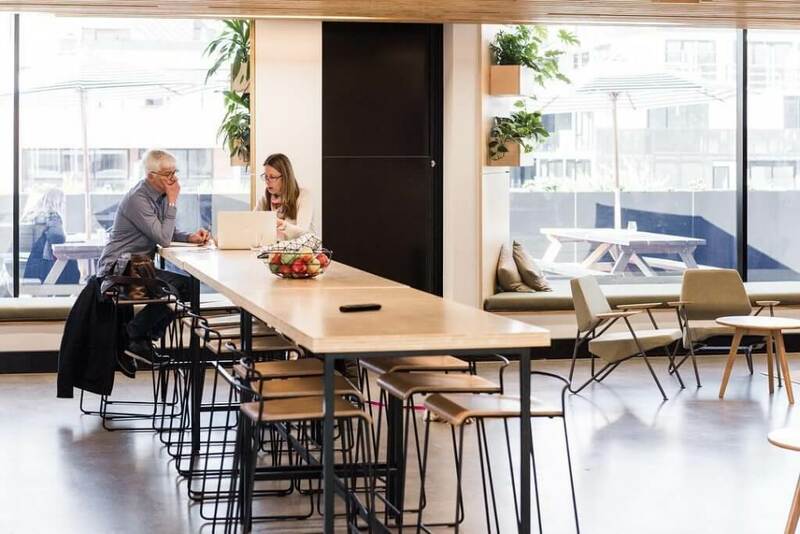 Our view, and the consensus across the industry is these zones should have the capacity to cater for a range of personalities and demographic types and offer a sense of community within the workplace. Zones for quiet time (to focus), teamwork (to collaborate), private discussions (confidential meetings), and getting social (lunchtimes to coffee breaks to Friday drinks). This isn’t ground breaking – it makes perfect psychological and psychosocial sense – the challenge is creating these zones within your existing space, without blowing the next three financial years’ budgets. Aside from raising the ceiling, knocking down walls, and adding more windows (which are all great ideas by the way), consideration could be given to agile furniture, smarter lighting, and spaces that move with your people. There are many furniture options on the market with features that allow for movement, reconfiguration, and creating spaces within your space. A whiteboard can become a wall, and likewise, a wall can become a whiteboard. There are no set rules, only opportunities. If it’s got wheels, can be pulled apart or built upon, caters for sitting, standing, working together or nestling into a quiet nook – consider it. Lighting plays an enormous role in the mood and comfort of your people. Fluorescent lights are out; smart lights are in – as are mixed warmth, height adjustable, artistic alternatives and whenever possible, natural light. Clever lighting can also help differentiate between zones. There are so many levels to designing an agile workplace, and we’ve really only skimmed the surface in this article. Our takeaway – think differently about the traditional office and create something that works for your people on a productivity and sociability level. Everybody wins.